It is one of the more prestigious lakes in the Kawarthas and offers deep clear water, good fishing, boating and water sports. The village of Fenelon Falls sits in between Cameron and Sturgeon lake and offers many amenities for the summer cottager or year-round resident. It is a great lake to own a cottage and is a sought after destination for real estate. Cameron Lake is just a short drive from Bobcaygeon along County Rd 121 S, and less than 2 hours from Toronto. Since Cameron Lake is smaller with less cottages then larger lakes in the Kawarthas, less real estate goes up for sale. When it does, it sells fast. It is important to have the right brokerage on your team - one that knows the lake and can quickly match your needs to any available. Our team of Realtors® all live on the waterfront in the Kawarthas and are familiar with Cameron Lake Real Estate. They can show you where to look and point out areas of the lake you may not be aware of. If you are selling your cottage on Cameron Lake we can help you sell it fast and for the right price. Our entire team works for you to market and advertise your property in print advertising and on our website as well as giving the best client care possible. We take pride in our service and value all the kind words from our seller clients. (Read some testimonials here.) We go beyond real estate industry standards to present our properties in the most professional manner possible. A Buyer's journey in search of waterfront property often starts at our own waterfront office. 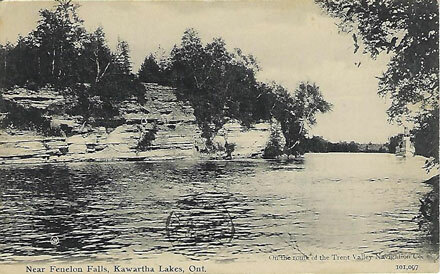 Here, they are introduced to the beautiful Kawarthas and experience a waterfront environment first hand. Then it’s off to view listings, all under the guidance of one of our knowledgeable, seasoned Realtors®, a proven formula for success. If you are the least bit curious about the market value of your property, please be in touch. Visit our lakes page for more information on Cameron Lake. Contact our team at 1 (877) 992-9927 or email us for more info on Cameron Lake Listings. Recognize, know a story or details about these vintage Kawartha scenes? Join us on facebook and instagram to share!